How to watch Captain Phillips (2013) on Netflix Costa Rica! Sorry, Captain Phillips is not available on Costa Rican Netflix, but you can unlock it right now in Costa Rica and start watching! With a few simple steps you can change your Netflix region to a country like India and start watching Indian Netflix, which includes Captain Phillips. We'll keep checking Netflix Costa Rica for Captain Phillips, and this page will be updated with any changes. 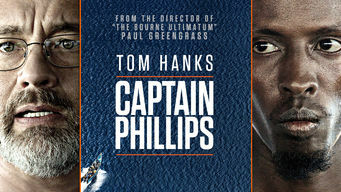 Captain Phillips is not available in Costa Rica BUT it can be unlocked and viewed! Four Somali pirates hijack a cargo ship and hold the captain hostage, setting the stage for an explosive confrontation with the U.S. Navy. Taken hostage by desperate hijackers, trapped in a tense standoff, he clings to hope and faith. A gripping true story. There is a way to watch Captain Phillips in Costa Rica, even though it isn't currently available on Netflix locally. What you need is a system that lets you change your Netflix country. With a few simple steps you can be watching Captain Phillips and thousands of other titles!